Most will remember their first experience with calculus. From limits to derivatives, rates of changes, and integrals, it was as if the heavens had opened up and the beauty of mathematics was finally made clear. There was, in fact, more to the world than routine numerical manipulation. Numbers and symbols became the foundational building blocks with which theories could be written down, examined, and shared with others. The language of mathematics was emerging and with it a new realm of thinking. For me, calculus marked the beginning of an intellectual awakening and with it a new way of thinking. It is therefore perhaps worthy to examine the early development of our modern calculus and to provide a more concrete historical context. The method of exhaustion. Image: Margaret Nelson, illustration for New York Times article “Take it to the Limit” by Steven Strogatz. The distinguishing feature of our modern calculus is, undoubtedly, its unique ability to utilize the power of infinitesimals. However, this power was only realized after more than a millennium of intense mathematical debate and reformation. To the early Greek mathematicians, the notion of infinity was but a paradoxical concept lacking the geometric backing necessary to put it on a rigorous footing. It was this initial struggle to provide both a convincing and proper proof for the existence and usage of infinitesimals that led to some of the greatest mathematical development this world has ever seen. The necessity for this development is believed to be the result of early attempts to calculate difficult volumes and areas of various objects. Among the first advancements was the use of the method of exhaustion. First used by the Greek mathematician Eudoxus (c. 408-355 BC) and later refined by the Chinese mathematician Liu Hui in the 3rd century AD, the method of exhaustion was initially used as a means of “sandwiching” a desired value between two known values through repeated application of a given procedure. 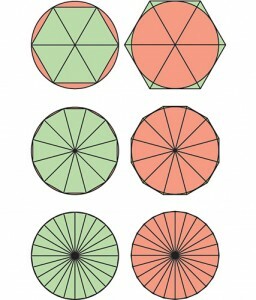 A notable application of this method was its use in estimating the true value of pi through inscribing/circumscribing a circle with higher degree n-gons. With the age of Archimedes (c. 287-212) came the development of heuristics – a practical mathematical methodology not guaranteed to be optimal or perfect, but sufficient for the immediate goals. Followed by advancements made by Indian mathematicians on trigonometric functions and summations (specifically work on integration), the groundwork for modern limiting analysis began to unfold and thus the relevance for infinitesimals in the mathematical world. Isaac Newton. 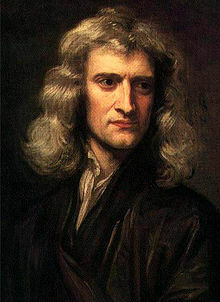 Image: Portrait of Isaac Newton by Sir Godfrey Kneller. Public domain. Both Newton and Leibniz shared the belief that the tangent could be defined as a ratio but Newton insisted that it was simply the ratio between ordinates and abscissas (the x and y coordinates respectively in the plane in regular Euclidean geometry). Newton further added that the integral was merely the “sum of the ordinates for infinitesimals intervals in the abscissa” (i.e., the sum of an infinite number of rectangles). From Leibniz we gain the well-known “Leibniz notation” still in use today. Leibniz denoted infinitesimal increments of abscissas and ordinates as dx and dy and the sum of infinitely many infinitesimally thin rectangles as a “long s” which today constitutes our modern integral symbol ò. To Leibniz, the world was a collection of infinitesimal points and that infinitesimals were ideal quantities “less than any given quantity.” Here we might draw the connection between this description and our modern use of the greek letter e (epsilon) – a fundamental tool in modern analysis in which assertions can be made by proving that a desired property is true provided we can always produce a value less than any given (usually small) epsilon. From Newton, on the other hand, we get the groundwork for differential calculus which he developed through his theory on Fluxionary Calculus first published in his work Methodus Fluxionum. Initially bothered by the use of infinitesimals in his calculations, Newton saught to avoid using them by instead forming calculations based on ratios of changes. He defined the rate of generated change as a fluxion (represented by a dotted letter) and the quantity generated as a fluent. He went on to define the derivative as the “ultimate ratio of change,” which he considered to be the ratio between evanescent increments (the ratio of fluxions) exactly at the moment in question – does this sound familiar to the instanteous rate of change? Newton is credited with saying that “the ultimate ratio is the ratio as the increments vanish into nothingness.”[2/3] The word “vanish” best reflects the idea of a value approaching zero in a limit. The applications of differential and integral calculus are far reaching and cannot be overstated. From modern physics to neoclassical economics, there is hardly a discipline that does not rely on the tools of calculus. Over the course of thousands of years of mathematical development and countless instrumental players (e.g. Newton and Leibniz), we now have at our disposal some of the most advanced and beautifully simple problem solving tools the world has ever seen. What will be the next breakthrough? The next calculus? Only time will tell. What is certain is that the future of mathematics is, indeed, very bright. “History of Calculus.” Wikipedia. Wikimedia Foundation, n.d. Web. 14 Mar. 2015. “A History of the Calculus.” Calculus History. N.p., n.d. Web. 14 Mar. 2015. Valentine, Vincent. “Editor’s Corner: Voltaire and The Man Who Knew Too Much, Que Sera, Sera, by Vincent Valentine.” Editor’s Corner: Voltaire and The Man Who Knew Too Much, Que Sera, Sera, by Vincent Valentine. ISHLT, Sept. 2014. Web. 15 Apr. 2015. This entry was posted in European mathematics, Greek mathematics and tagged calculus on May 14, 2015 by andrewqross. Calculus is one of the most important fields of Mathematics. Calculus is a study of rates of change and motion, which we can see by the slope of a line or a curve. There are two major branches of calculus, Differential and Integral calculus, and they are inverses of each other. Integral calculus is used to find the areas under a curve, surface area or volume, and linear distance travel. Differential calculus (which concerns the derivative) mostly goes over the problem of finding the rate of change that is instantaneous, for example, the speed , velocity or an acceleration of an object. Differentiation is especially important in natural sciences, engineering and technology. An example of differential calculus is if you wanted to find the velocity or the acceleration of an object, for example, a car. 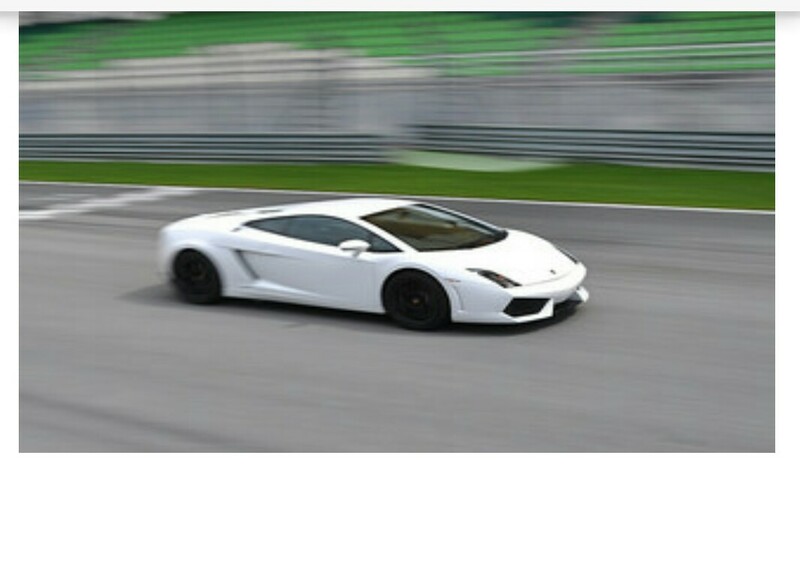 To find the velocity of a car, you would take the first derivative of a function (position at time t : dx/dt) and to find the acceleration you would take the second derivative of a function (dv/dt : change in velocity/change in time . This leads us to Newton’s law of motion, which is Force = Mass x Acceleration, where in this context, acceleration is the second derivative of a function. Who was the person behind the development of calculus? Well, it wasn’t actually just one person. Sir Isaac Newton and Gottfried Wilhelm Leibniz were both credited with the development of calculus. Throughout their lives, they both argued on who came up with the idea first, both have accused each other of plagiarism. Those two weren’t the only ones who contributed to the discovery of Calculus. There have been many other known mathematician of that time that also helped with the development of calculus. For example, Rene Descartes indirectly helped create differential calculus by introducing variable magnitude. Newton and Leibniz essentially created integral and differential calculus. They were both interested in objects that are in motion. However, they both looked at different aspects of this. Newton was more involved with the speed of a falling object and Leibniz with the slopes of curves to illustrate the rate of change. Although they both looked at different things, they both came up with the same results, hence the accusations of stealing the other’s ideas. However, combining both of their ideas, fundamental theorem of calculus was created, which links the concept integration to derivation. It is hard to see the difference between the function and its derivative without having a visual presentation. In math, graphs are usually used to show what a function and its derivative look like. Any value of the first derivative at a given point is equal to the slope of the tangent to the graph of the function at that point. As we all know that in a graph, positive means increasing, so when the derivative is positive, the function must be increasing and when the derivative is negative, the function must be decreasing. When the value is zero at a point, the tangent is horizontal, and the function changes from increasing to decreasing, or from decreasing to increasing, depending on the value of the second derivative. The second derivative basically represents the curvature of the function. Since the first derivative shows the rate of change, the second derivative shows the rate of change of the rate of change. When the second derivative is positive, the function concave upwards and when the second derivative is negative, the function concave downwards. To find a derivative of a function we have to make sure that the two x values are as close as possible so we can receive an accurate result. 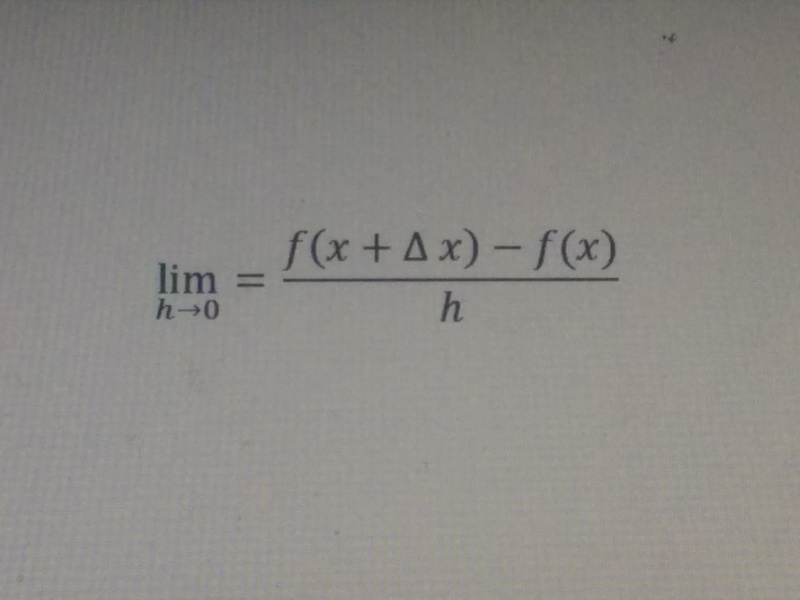 Derivative is defined by the limit of slope formulas as the x values become closer to each other. For example, we take a point which is on a curve, now we take another point that is closest to x, x+delta x. All we need to do now is plug this into the slope formula, one more thing, since we want the closest value to x, delta x has to be very small, so we find the derivative as delta x goes to 0; now we have the entire formula for derivative shown in the image. Differential Calculus helped evolve Math in many ways. It is used in many different fields of science, such as, physics, biology, and engineering. This entry was posted in Practical Math and tagged calculus, derivatives, differentiation, integrals, Isaac Newton, Leibniz on December 23, 2014 by beautifulart2.